I have always enjoyed exercise, competing at club level in Cycling events and subsequently Triathlons. I compete in “Olympic" distance and Half Ironman open water events in this country and abroad. As you can imagine it isn't easy fitting all the required training into an already busy schedule! 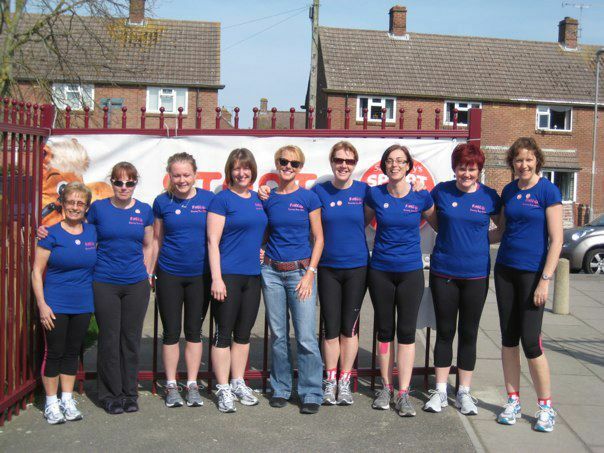 In the past I worked for a company at the forefront of organising triathlon races (Tecman Triathlon) and was an Instructor at Dorchester health and leisure studio. I gained my first qualification,“Exercise to Music” with the RSA in 1987 and have taught every style of aerobics you care to name. When Gin Miller introduced the Reebok STEP program, I enrolled on her course and a 16 year love of Step began. Other courses in choreography followed and many happy years of teaching and attending courses, workshops and conventions to gain and retain fitness knowledge. Personal training was a natural progression into an area that I knew I would enjoy, simply because I like passing my knowledge on to others and seeing those struggling with diet and fitness, blossom into slimmer, fitter people with a better understanding of their own bodies. I qualified with PREMIER TRAINING INTERNATIONAL, one of the principal providers of training in the UK, and have taken further courses in posture and functional exercises, spinning and aqua fitness. I have a good working relationship with a local Chiropractic practice who recommend their clients to me to provide rehabilitative and corrective exercise regimes to help recovery and to assist in prevention of further injury. 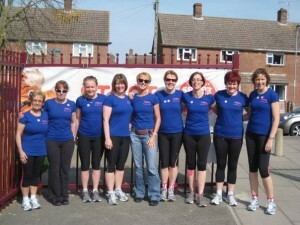 As well as providing Personal Training and 9 step and exercise classes per week I actively support a number of local Charity events and provide a warm up session for the the Dorchester Lions 10 KM race and Fun Run, I have given a talks to the local “look good, feel good” day organised by the Macmillan Nurses for ladies who have suffered Breast Cancer. I have been part of a fitness week at Charminster First School providing exercise activities for children from 5 to 9 years old, quite a handful!! For the last few years I have also been offering the massively successful " CFL" fat loss and Nutrition programme. See here for details. With my Partner David (who is an IRONMAN Certified Coach and an England Athletics "Leader in Running Fitness") we are now offering Triathlon and Running coaching on a Holistic basis to everyone from beginner to Ironman and whether you are looking to Complete or Compete.